You are in busy traffic and slow down for a bicycle rider. A driver behind you beeps a horn and pressures you to go around the bike and drive faster. How should you respond? You are in busy traffic and slow down for a bicycle rider. A driver behind you beeps a horn and pressures you to go around the bike and drive faster. How should you respond? A. Go slower because the slower you go the safer you are. B. Overtake the bike quickly and speed up to stop the other driver becoming aggressive. C. Resist the pressure, stay calm and overtake the cyclist when it is safe. Correct. You are in control and other drivers' impatience should not influence your decisions to act safely. Overtaking cyclists needs careful timing. 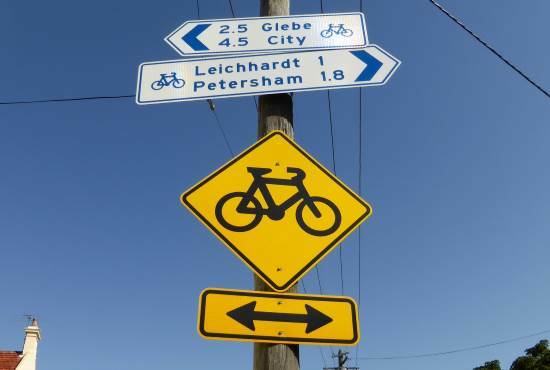 Cyclists won't necessarily ride a perfectly straight course because they might deviate to avoid potholes or to give themselves more room when riding past a line of parked cars in case a door is opened in front of them. When the wind is strong it can cause wobbles. If you are driving a large vehicle, make sure that your slipstream doesn't affect the cyclist and also that you leave enough clearance (at least 1.5m) so that the cyclist isn't hit by your wing mirrors. If you are towing a trailer that's wider than your vehicle, take this into consideration, too, especially as you move back into the lane after making your overtaking move. Don't overtake a cyclist if you are immediately turning left afterwards. Watch for signs that advise that it's a cycle route. If you are approaching one or more cyclists at speed then remember to indicate, even if you won't have to cross the centre line, as this gives the vehicles behind you time to realise what's happening, even if they can't see the cyclists because your vehicle is blocking their view.